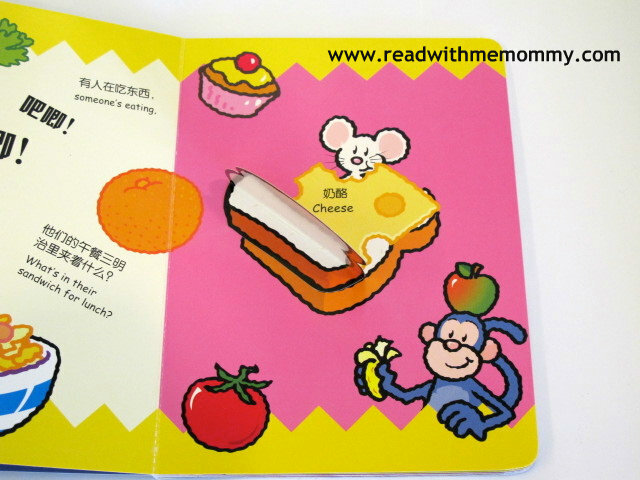 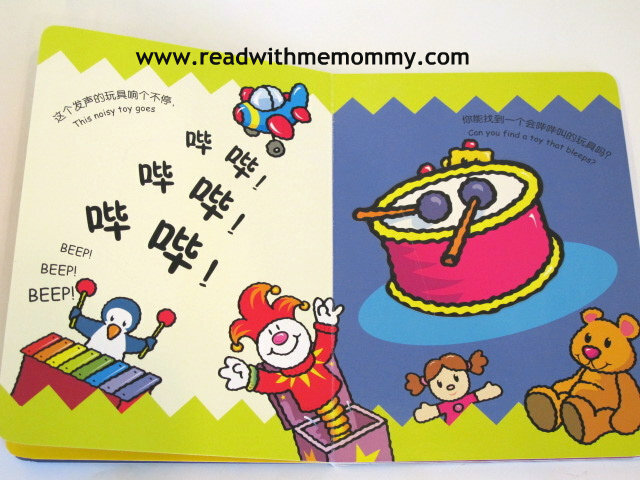 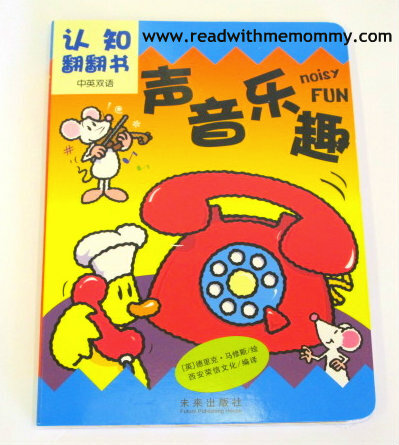 Noisy Fun is a bilingual board book. 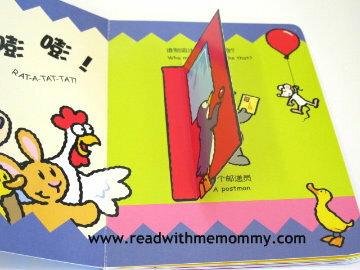 An interactive set with beautiful illustration that your little ones will love. 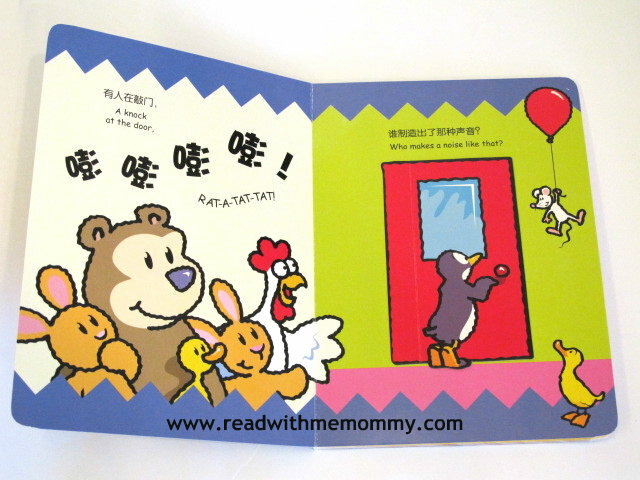 Through this set of books, your kids will learn about sounds. 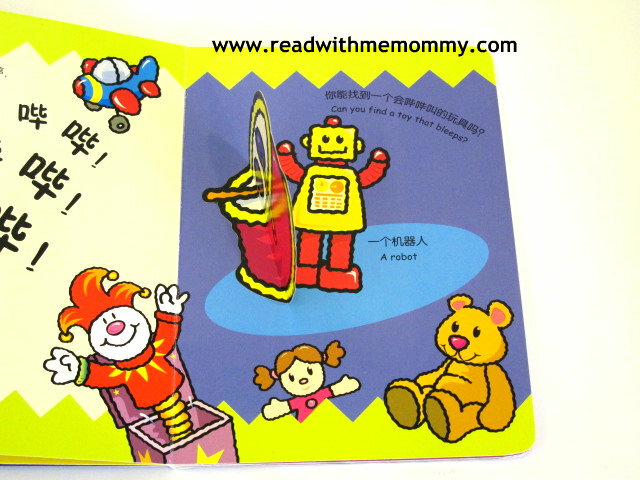 Let your little kiddo have fun flipping through the book.